Magnolia gets its name from its founder whose name is Pierre Magnol. It is having about 120 species and it is a family tree. It is also very large and it can be found all round the globe. In history, it is the oldest tree family. It has existed around 95 million years before. It is just before the existence of bees in this world. Beetles help in their pollination during ancient days. Magnolia flowers are tough and sturdy in their nature and it is also pretty to attract everyone. Due to its structure, it is difficult for all the insects to eat their petals. It is also having smooth edges and plain shaped petals. Magnolia trees can be found in parts of South America, Caribbean Islands, Central and North America and in East and Southeast Asia. It will give you a good and wonderful smell when it blooms in the tree. It grows like a wild creature. Hence it needs regular maintenance to make it beautiful enough. 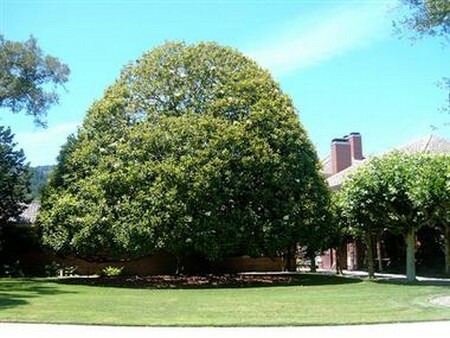 You can protect its magnificence and neatness by doing trimming to those trees. They are large enough when compared. Instead of cutting the branches which are unnecessary, it is better to remove them physically. Winter season is very appropriate for you to trim and maintain Magnolia trees because they are dormant in that period only. Dormant in the sense a period to take rest and it won’t grow in that time. It grows continuously and is designed specifically for it. However, the growth of that tree never stops if we cut them during winter. Start trimming at the base of the tree because you can see old branches at the base of the trees. Don’t go directly to cut the main branches of the Magnolia trees. It will cause permanent damage to the trees. Carry out this process slowly by carefully cutting twigs and branches and disarrayed leaves. Don’t cut all the branches all at the right time. During winter, it will be very cold. Hence cutting them too much will cause sever damage to the trees and it will create harsh temperature also. So alternate the trimming process. Also you have to give the chance to the trees to grow their parts which are trimmed. Now cut one side and then wait till next winter season to cut on the other side. To cut thick branches and large branches use a hand saw which is bigger enough to cut them. For cutting the smaller branches use pruners.